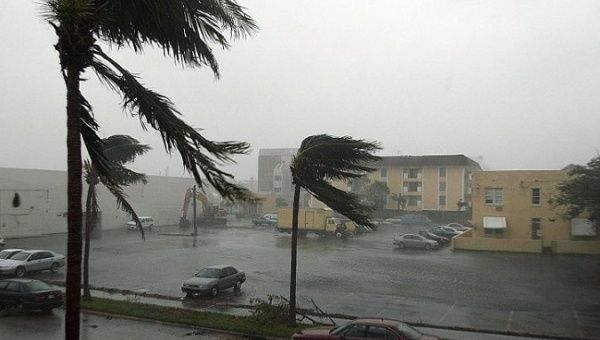 May 5 (teleSUR) Cuba has launched ‘Operation Meteor’ to aid the island in preparing for any and all possible natural disasters, from droughts to hurricanes and earthquakes. Cuba is introducing the preventative initiative on May 19 and 20, Chief of the National General Staff of Civil Defense Ramon Pardo Guerra said during Friday’s press conference. Among the new strategies under review for implementation are civilian first-aid training; assist and rescue missions; damage control; large-scale needs assessment, and office reception for victims in disaster situations. The nationwide initiative aims to mitigate the impact of natural disasters, especially in rural areas, and safeguard life on the island, Lieutenant Colonel Wilfredo Cobas said. The operation is of special importance considering the coming hurricane season from June 1 to November 30. ‘Meteor’ will also connect with radio and television services; the island communications system, and the Emergency Network of the Amateur Radio Federation of Cuba to fine-tune their emergency responses. Over the last century, Cuba has fallen victim to 30 tropical cyclones: 10 tropical storms and 20 hurricanes, 10 of which were storms so formidable they spurred the island into action. Last year, Hurricane Irma affected 12 of Cuba’s 15 provinces; destroyed over 150,000 homes; killed 10 people, and caused some US$13,000 million in damage.